Over the holidays, I was one of many who escaped the frigid cold and flew south for some much needed sun. My destination of choice was Cuba. Everyone who I talked before planning my trip to told me visiting Havana was a must. 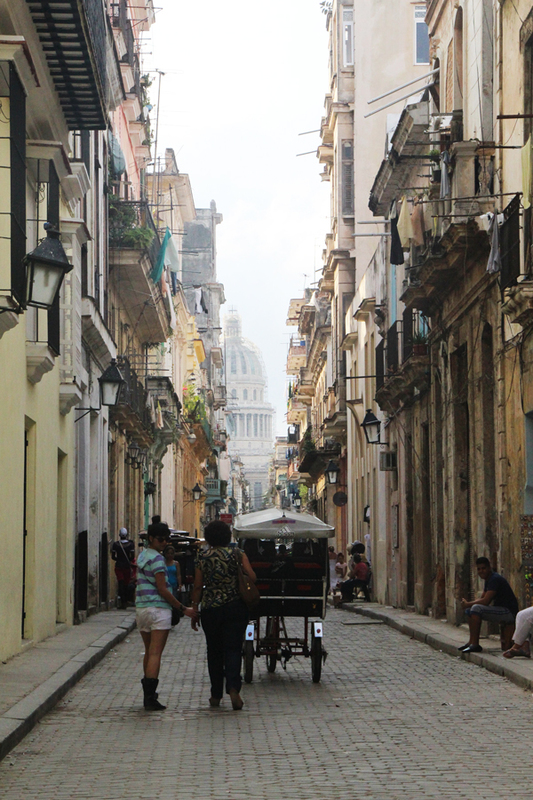 Even the locals told me that if I wanted to experience true Cuban culture, Havana was the city and place that encapsulated it all. Our first stop on the Havana tour was Revolution Square. 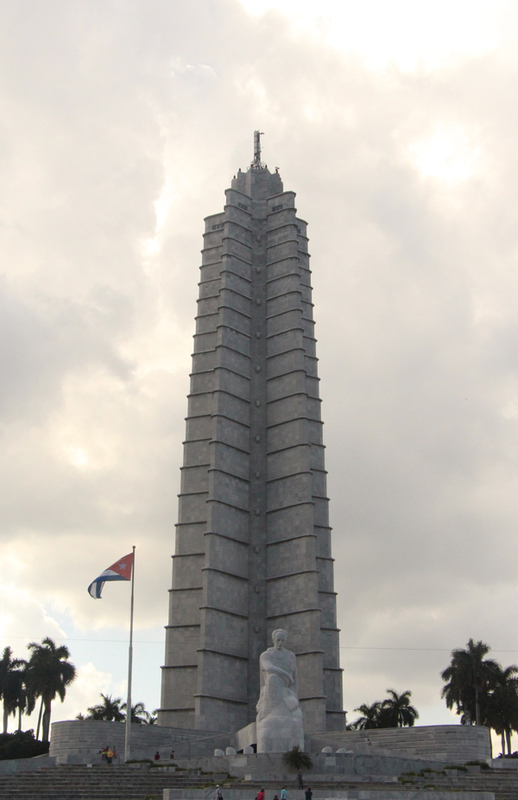 The Jose Marti Memorial dominates the plaza which features a tall tower and statue. 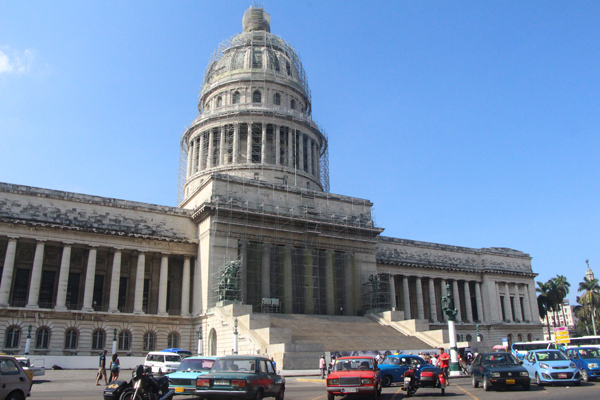 Fidel Castro would position himself in front of the monument and speak to the Cuban people. As I stood in the middle of this expansive space, I can’t imagine being in a crowd of a million Cubans, listening to a political figure give a rallying speech. Many government ministers are located around the plaza. 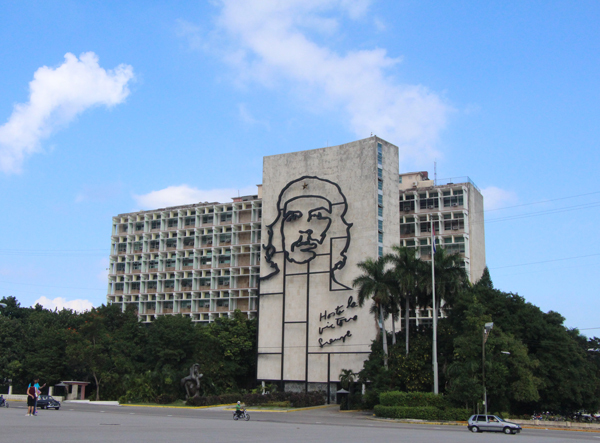 Opposite the memorial on the far side of the square is the famous Che Guevara image with his well known slogan of “Hasta la Victoria Siempre” (Until the Everlasting Victory, Always) that identifies the Ministry of the Interior building. Our next stop was the National Capitol Building. 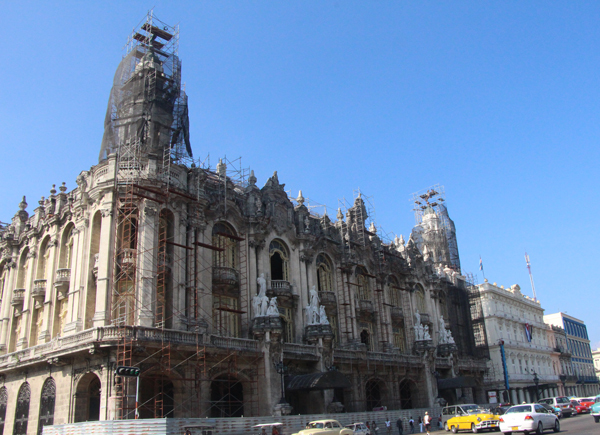 This was the seat of government in Cuba and is now being restored to be used once again as the home of Cuba’s National Assembly. I was shocked to see that it resembles the Neo-classical style that is also based on The White House in Washington, D.C.
Beside the Capitol building is The Great Theatre of Havana. It provides a stage for the Cuban National Ballet Company, as well as for other dance and musical performances. Like the Captiol edifice, it is undergoing massive restoration. I learned that preservation and maintenance of historical structures is something the Cuban community feels strongly about, which is why the government is supporting such projects. My favourite part of my tour of Havana was having the opportunity to walk the streets and experience the transforming architecture. 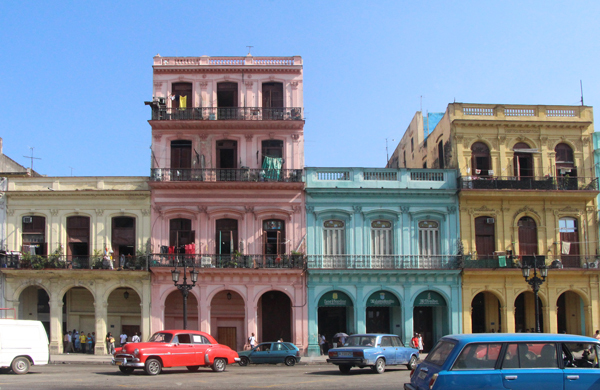 Historical facades, narrow streets and colourful colonnades are the many spaces that make this city truly unique. See more here.